In this series, we highlight the inaugural group of nine cities to achieve What Works Cities Certification and the five cities selected for the Certification Honor Roll. As part of being awarded the certificatio, each city received an ELGL all-in membership. What Works Cities Certification recognizes and celebrates local governments that are leading the nation in the use of data and evidence to increase government effectiveness and improve services for residents. At #ELGL18, What Works Cities will offer a half day session on how your organization can use data to drive innovation. Previously, Las Vegas and Topeka shared how they landed on the Certification Honor Roll, and the City of San Diego discussed how they acheived Silver Level Certification. This week, Lia Katz, Applied Research Analyst, Office of Budget and Performance Management, Office of the City Administrator writes about DC’s success on achieving Silver Certification. We are doing so many new innovative projects that integrate data into our decision making, and we are excited to share our progress, and learn from others in similar environments. What are three specific ways residents benefit from the city’s use of data? The District government is focused on providing top notch programs and services to our residents. Data is one of the best ways for us to understand if those programs and services are reaching the right people, at the right time, and in the right way. Without the data, it would be a lot harder to understand which programs are helping, which should be continued, and which should be discontinued. Data is vital in understanding the impact of all our programs on residents, whether it’s data on sentencing being used to inform a rewrite of the criminal code; understanding the most impactful communications to ensure eligible TANF households are able to continue receiving benefits; or increasing staffing to reduce hold times on the 311 line, the use of data can tell us about our programs, how we are serving residents, and what we could be doing differently to ensure good outcomes. For example, on the last one, as part of the 311 STAT series, the City Administrator and the Director of the Office of Unified Communication identified that the call wait times on 311 were high; in a given month, only 40-60% of calls were answered with 90 seconds, the service level agreement (SLA). In digging further, the data showed us that the number of calls to the 311 line had increased significantly, but staffing had remained level. Provided with these findings, the City Administrator agreed to increase the staffing for call agents. The percent of calls answered within SLA jumped to more than 80% in the following months. How is the city ensuring that using data improves services across a broad section of the community? 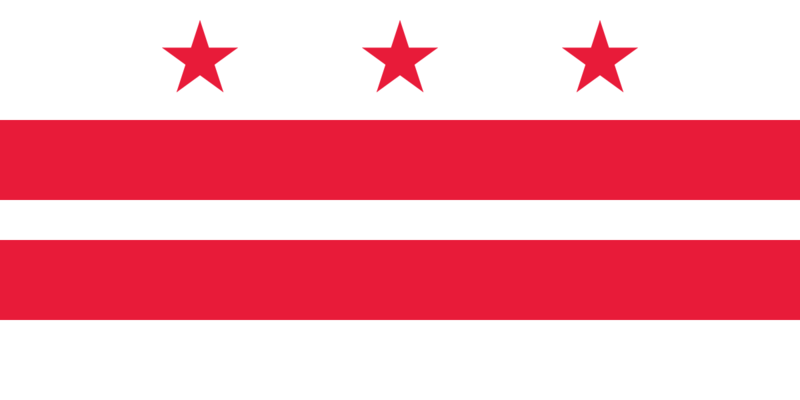 The District of Columbia has a newly formed team – the Office of Budget and Performance Management, which for the first time combines our budgeting office with our performance oversight and management office. Housed within the Office of the City Administrator (overseeing all Executive Agencies of the District), this newly combined team has an opportunity to allow data and performance management to influence the budgeting process and vice versa. This combined mandate really gives us the opportunity to infuse data driven decision making into all facets of the District government. For those cities considering What Works Cities’ certification, give them three tips for addressing certification requirements. Ensure leaders champion the process. The documentation for the WWC Certification is not a ‘check the box’ exercise; it requires dedication and commitment to the standards in the certification. Without leadership buy-in to the values behind the certification, the certification will be impossible to genuinely achieve. Don’t view certification as an ‘all or nothing’ proposition. Use the certification application as an opportunity to consider improvements in areas where you come up short. Certified cities didn’t score 100% on all parts of the application. Rather, we demonstrated a commitment to the process, and are using the scorecard to ensure we continue to improve. Learn from other cities. The WWC website has a wealth of information about other cities and what they are doing. Use this as a resource as you develop your own plans, policies, and procedures. How will the city build on the success of the certification? How do you ensure it becomes ingrained in the city’s culture? Specific initiatives? As mentioned above, we in DC don’t see the certification as an ending point – it’s a midpoint. We are proud to have our work recognized, to be in the first cohort of cities certified, and to have achieved the silver certification. We plan to use these results to keep pushing us forward and to keep making data a priority in how we serve District residents. What’s one question that you’d ask the other cities who achieved certification? How are you demonstrating to residents the impact of data on city programs? What question(s) should we have asked you? What’s the answer? Question: What is the most important factor in the District’s success? Answer: Strong leadership that is committed to using data to understand and solve the District’s most vexing problems. While there is commitment to a data driven framework at all levels of District government, without the Mayor and City Administrator’s buy in and interest in our work, it would not be able to gain the traction we have had.